We all have our reasons why we love visiting them, but the truth is, lakes have that special kind of magic that everyone can sense in their own way. Whether you like them because of the many outdoor activities they offer or you simply love that tranquil atmosphere they provide, visiting lakes is definitely a unique experience. However, we made our list of top 10 lakes in Europe, check them out and find out your favorite! Magical lake Bled is often included in the lists of places you have to visit once in a lifetime. 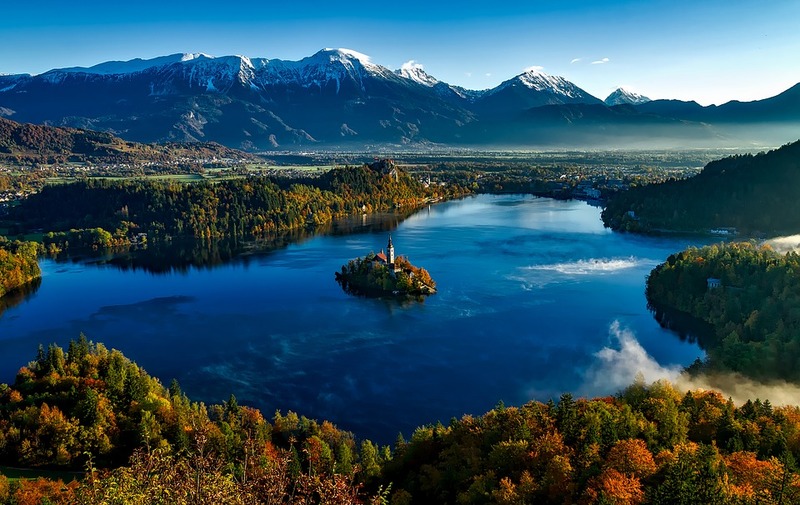 It is one of those places which actually looks just like in the pictures, and if you have seen at least one photo of Bled, you’re already in love with it. It is located in the Julian Alps, in northwestern Slovenia. Bled island in the middle of the lake is the most recognizable scenery in the country, and tourists are simply adoring this destination whether they are looking for sport activities, relaxation or romantic moments. If you want a simple recreation such as hiking or cycling, 6 km of trails around the lake should be enough. The trails also lead to the hills (including Castle Hill) where incredible views are waiting for you. 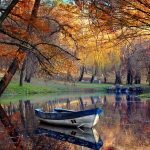 If you want something different, try rowing to the island, but if you’re coming in extremely cold period, the lake might be frozen. Still, getting to the island would be the highlight of your visit. You would have to climb 99 stone steps to get to the Church of the Assumption of Mary, and the legend has it that if you listen to the bells and ring them yourselves, all your dreams will come true! There are so many legends and tales attached to this place which is no wonder once you see it. That is why a lot of romantic souls and couples pick this destination. There you can enjoy the ride in a horse-carriage, relax and swim in the pools with thermal water, discover the incredible tales and stop to take the most stunning photos in the world! This Alpine gem is a UNESCO World Heritage Site with a history that dates thousands of years back. It is located in Salzkammergut Region in Austria, southeast of Salzburg. Since the iron age, people settled in this area and soon made it a trade center thanks to the salt mines they discovered here. All the history lovers will be able to explore a few museums in Hallstatt and will have an opportunity to learn a lot about this ancient place. Don’t miss the main sights such as Catholic Church of Hallstatt located in the mountain with a contemplative cemetery right next to it, Charnel House or ‘Bone House’ in St. Michael’s Chapel with a collection of 600 artistically painted skulls, or Rudolfsturm Tower, a fortification that defended the salt mines against invaders and today offers an incredible view. It is not only the historical aspect that makes this amazing atmosphere, but a lot of cosy and lovely shops and cafes you can find around the lake, too. Many will say that the best viewpoint is just next to the market square in Hallstatt from where you can take perfect photos. If you’re looking for an active holiday, you can choose between bike rides and hiking, or rowing and pedaling the boats across the lake. Both ways are perfect to explore the beautiful surroundings. What’s with the Alps and the lakes? This third-biggest lake in Italy, also known as Lago di Como, is located in the snow-covered Rhaetian Alps surrounded by steep wooded hills where you can find adorable villages and stunning villas. To many travellers, there is no as beautiful or tranquil lake as Como, and throughout the centuries, it mostly attracted rich and famous. It is no wonder why even celebrities such as George Clooney decided to purchase a piece of this heaven because once you see it, you will fall in love with its romantic setting. The lake is the most crowded in the summer, as you could guess, and that is when you can find most of the activities. You can choose between biking, hiking, boating, paragliding, windsurfing, and in the winter time you can ski in the nearby mountains. In the places at the lake Como you will find a lot of museums which you can explore and find out a lot about the history of this area. Also, in the villages around, there is a good number of farms that produce goods such as olive oil, honey, milk, cheese, eggs etc. Visitors are allowed to come to the farms and make their purchases. Besides many things that can keep you busy on this lake, use the opportunity to relax and enjoy in the gorgeous scenery of one of the most attractive places in Italy. And don’t forget to take photos! 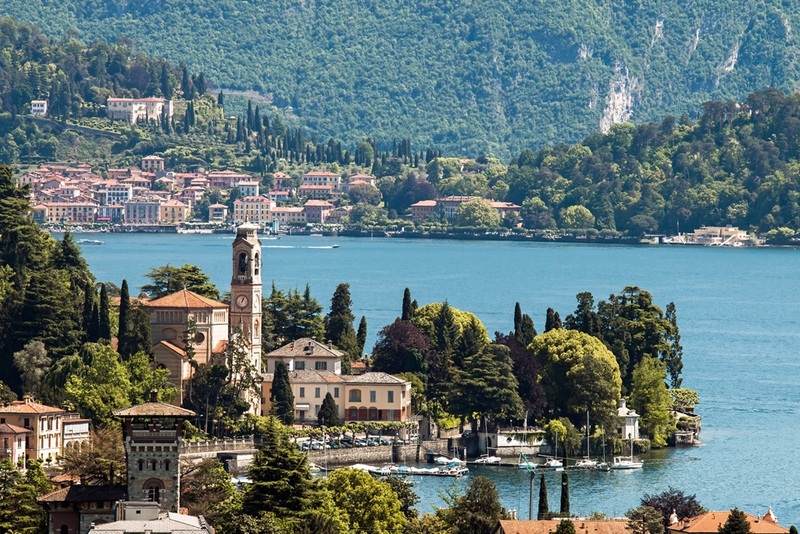 Another jewel in northern Italy, Lago d’Orta, or Cinderella as Milanese call it, has all the characteristics of a typical Italian picturesque scenery. Visitors often describe it as ‘silent’ and ‘mysterious’ which is mostly because it is still kind of a secret. Surprisingly, not many people, not even Italians, know about this place – and that is exactly its greatest advantage. 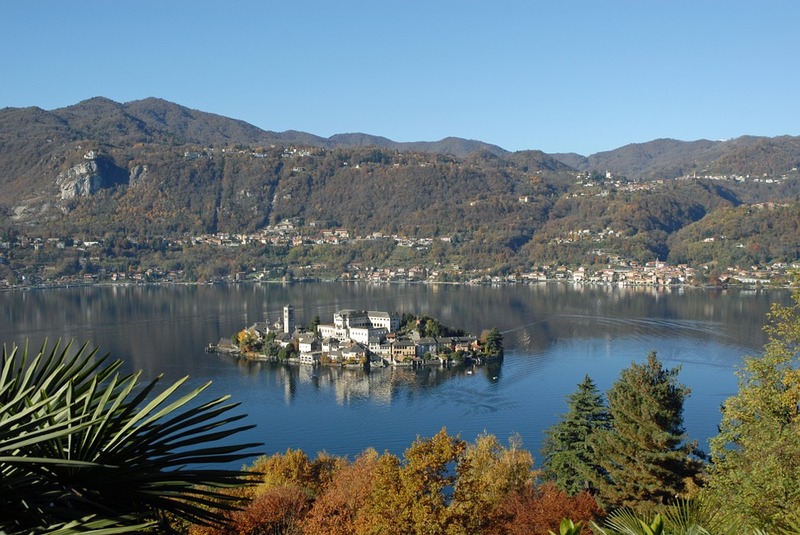 This lake is definitely for those who want to experience its therapeutic effects because the lake’s sleepy medieval towns, fortresses, captivating villages, colorful piazza, lovely restaurants and stunning San Giulio island in the middle of the lake bring serenity and peace. Crowds can be seen on weekends, but if you come during the weekdays, you’ll have most of the place just for yourself. The lake also offers outdoor activities such as trekking and hiking. Some of the sights you shouldn’t miss are the Holy Mountain, a UNESCO Site famous for its 20 chapels with life-size terracotta statues, dedicated to st. Francis of Assisi; Buccione Tower, a fort linked to Maria Cavanesa who sacrificed her life in order to save the banks of the lake from the invaders; Church of the Assumption where weddings are celebrated and Town Hall, a magical place where you can sit and enjoy a book or listen to the music, or simply enjoy the nature. In the end, of course, take a boat (4 € round trip) to San Giulio island which you can walk over in 40 minutes. Enjoy the silence, visit a monastery with a stunning basilica, and admire the incredible view on the surrounding water and the mountains. 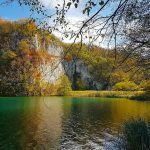 Another UNESCO World Heritage Site on our list is the oldest and largest National park in Croatia, and the biggest tourist attraction of the country. 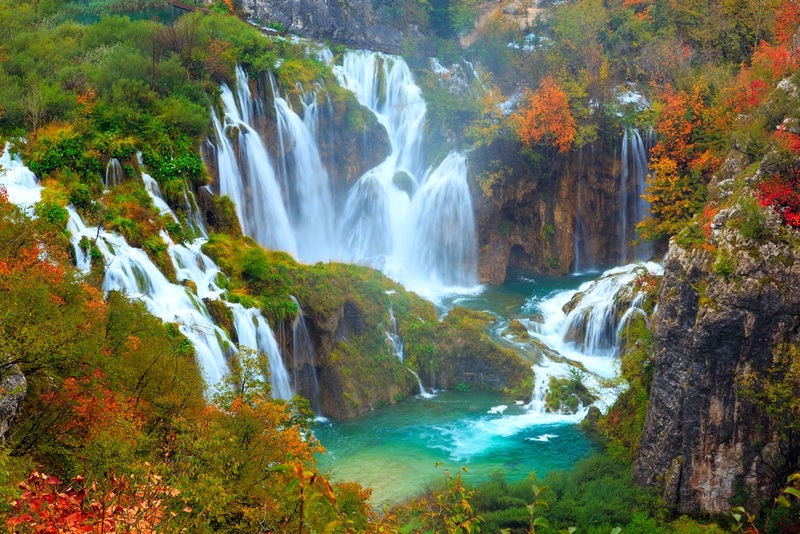 The National park consists of 16 lakes interconnected by a series of waterfalls. It is set in a forest which is also a natural habitat of various animal species such as deer, bears, wolves and rare bird species. This incredible natural phenomenon is worth visiting anytime during the year, but the crowds are the biggest in the summer, as expected. If we would have to point out the best season to visit it, it would be autumn. The colors and the overall atmosphere at the lakes is simply breathtaking! There are 8 different walking trails you can take with a duration from 2 to 8 hours. On one of the lakes you can take a boat ride and see the nature from an entirely different perspective. Those who would like to admire the surroundings in a more cosy and relaxing way are able to take an electric train/bus that makes a tour around the lakes. For extensive information about this incredible natural wonder, check out our posts below! 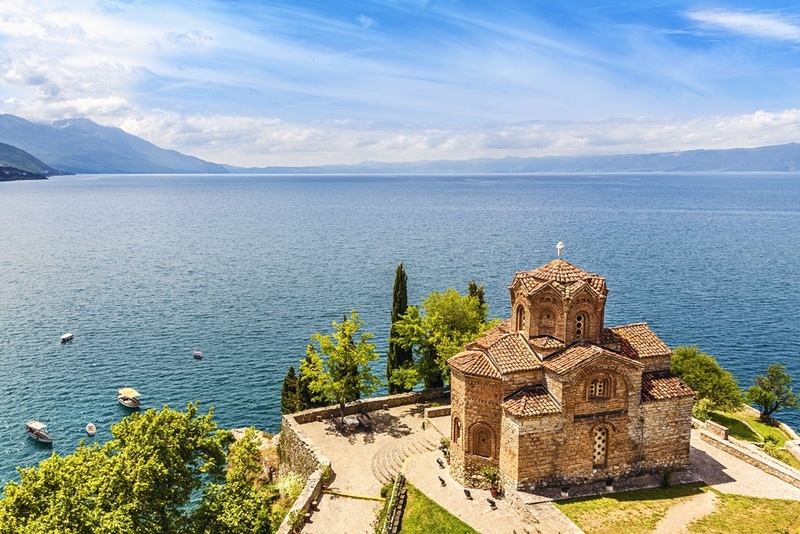 Located on the mountainous borders between Macedonia and Albania, this Macedonian pearl named Ohrid is one of the deepest lakes in Europe. People from all over the world come to enjoy this beautiful lake with a serene stillness which is also a UNESCO World Heritage Site. But not only that, in 2010, NASA even decided to name one of Titan’s lakes after it. Lake Ohrid is often described as ‘one of the most peaceful places on Balkan’ and it is ideal for friends and families that simply want to have a relaxing holiday. The incredibly clear water surrounded by the mountains and charming, picturesque cities really makes a beautiful scenery. While there, take some time to explore the city of Ohrid, take a stroll around the old town ‘Varos’, visit the colorful market, take a walk down the cobblestone streets and see what small shops and boutiques offer. You will probably find it interesting how many different nationalities you can find here which is mostly reflected in Ohrid’s architecture. If you wish for an outdoor activity, you can take a bike ride and explore the wider area. Ohrid has a good network of paths and roads where you can go for a bike ride or walk. For the most stunning panorama, head to Sveti Jovan Kaneo, the ancient church located in front of the lake from where the most amazing photos can be taken. 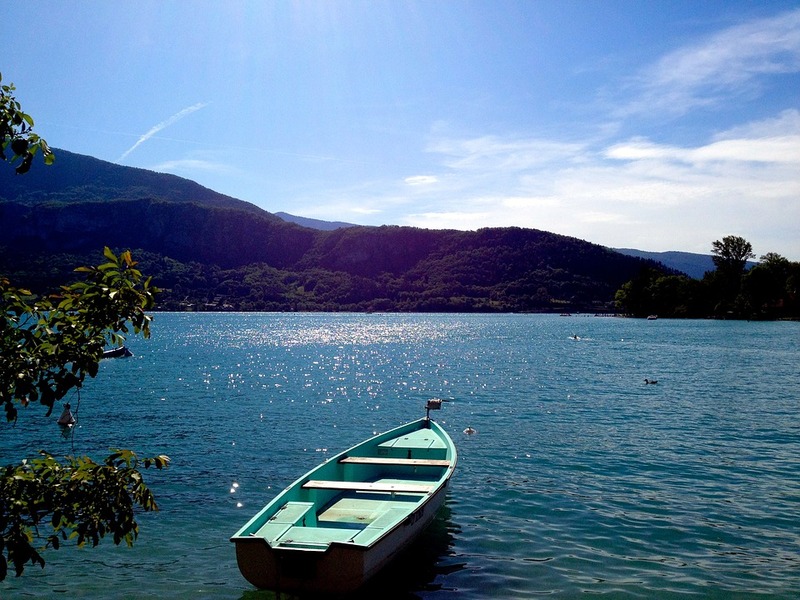 Annecy lake is like a dream from which you don’t want to wake up. It is a very popular tourist destination for both those that look for sports and those who want to rest in a magical atmosphere. It is located by the Alps and known as ‘the Europe’s cleanest lake’ due to its strict environmental regulations since 1960s. The crystal clear water is surrounded by snow-capped mountains which altogether makes a stunning scenery. There are 7 main streams and a powerful underwater spring known as Boubioz. Main outlet is Thiou and it flows through the city of Annecy which is why the city is also called ‘’Venice of the Alps’’. Definitely take some time to explore the city and use the opportunity to stroll the canals and buy local products at the market. For the good activity but also the amazing view, take a bike ride around the lake and see this spectacular place from every corner. For an additional experience, hire a paddle boat across the lake. You will even find several companies running cruises across the lake if that suits you better. 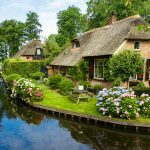 To soak up the atmosphere a bit more, visit the lovely, picturesque villages by the lake such as Menthon Saint Bernard, Veyrier du Lac, Sevrier and Talloires. Also, try hiking and climb any of the nearby mountains and then reward yourself with some really breathtaking views. Those brave ones can even check their skills in paragliding. 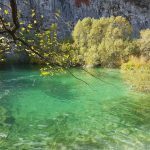 In the summertime, you can fight the heat by swimming in the lakes, and if you arrive during the winter period, this place is amazing to relax in tranquility, but also try a great number of outdoor activities. 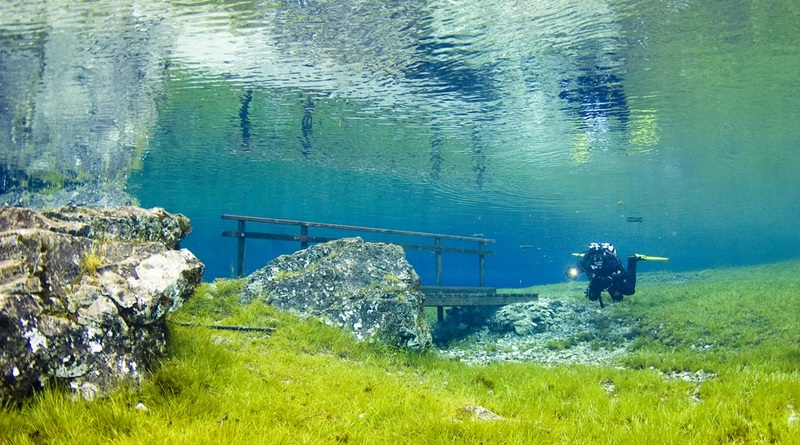 If you want some real magic, visit this Austrian lake that is a lake only half a year. Yes, you read that right. This place turns into an underwater park during the summer and that is because the lake is only 1-2 meters deep during the winter and looks more like a pond, but during the summer months, higher temperatures melt the snow from the Hochschwab mountains and fill the basin of the land up to 12 meters. The lake got the name ‘Green Lake’ (Gruner See in German) because of its emerald-green water which is actually a reflection of the forests that surround the lake, together with the mountains. Because of its features, Green lake offered a number of really great activities such as swimming and scuba-diving which was the biggest attraction knowing what an oasis you can find underwater, but unfortunately, that was recently prohibited due to the fears of pollution. Besides that, there are many paths and bridges where visitors can walk or go for a bike ride and discover every inch of this gorgeous lake. Just 25 kilometers away from the lake is located the green heart of Austria, Bruck an der Mur. To make a perfect day trip, visit it by bike and explore its gothic churches and palaces together with the most unusual lake, all in the same day. We had to include the longest and deepest Norwegian fjord on our list, the King of the Fjords. It is often described among the travellers as one of the ‘most beautiful places in Norway’, and some would add ‘in the world’. The impression of every visitor is how the scenery with the mountains and fjords is really dramatic and stunning. Sognefjord’s most narrow and famous part is Nærøyfjorden, also on the list of UNESCO World Heritage Sites. Here you can find 5 of the old stave churches in Norway, extremely protected by UNESCO. 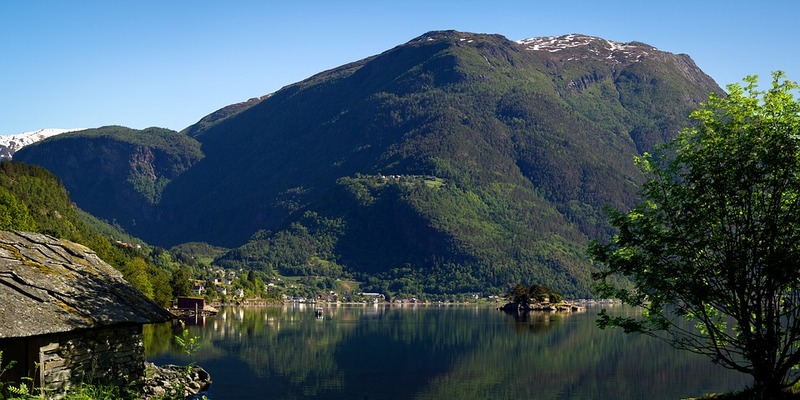 The systematic improvements and work to reduce the negative effects of tourism and preserve the nature, culture and environment are soon going to provide the fjord the certification of Sustainable Destination. In this area you will find many things such as isolated farms with various products, orchards, and modern towns. Take a ride in a Flam Railway, an unforgettable journey from the station Myrdal on the Bergen Railway to Flam station, on the Aurland fjord. Visit Jostedalsbreen National Park, covered by the largest glacier in Europe. A hike through this national park will take you through all the seasons of the year. For some serious heights and good hiking, visit Jotunheimen National Park with the highest mountains in Norway, with more than 20 peaks over 2000 meters. Biking is also a great option to explore the area, and this place offers many routes. While there, dare to stay in one of the many camping cabins in the nature which guarantees you an unforgettable experience. 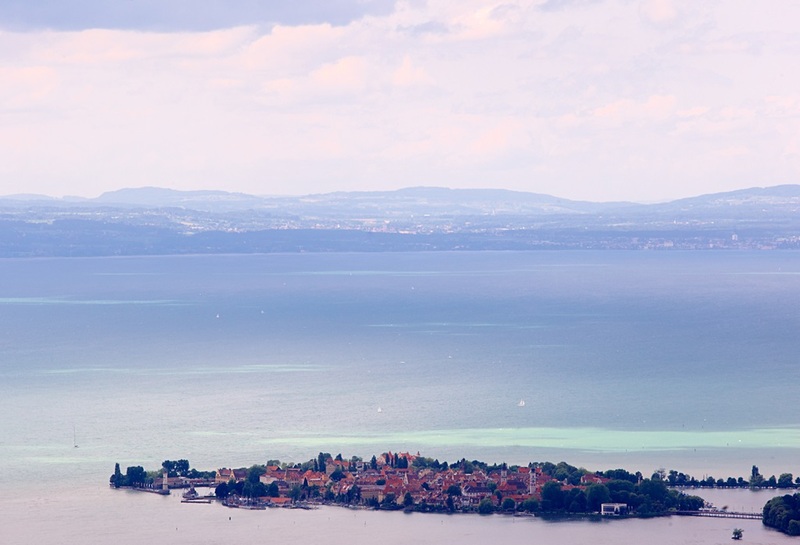 The Lake Constance or Bodensee is a lake situated on border between Germany, Switzerland and Austria, in the Alps. The lake is the biggest one in Germany and that is exactly the first impression you get, how grand it is. The area offers a lot of water sports but a huge number of sights in the nearby places, too. The landscape is incredibly rich, from meadows, orchards and vineyards to beaches and mountains. On the other hand, nearby places can keep you busy all day with plenty of sights. Visit the town Konstanz and its harbour, stroll the streets and discover magnificent architecture. Besides that, don’t miss the paradise called Mainau, the spectacular flower island and a home to a million flowers and plants. It changes the look as the seasons change, and the colors that can be seen in any part of the year are simply mesmerizing. In Bavaria, you will find a lovely town Lindau and its beautiful harbour with a well-known lighthouse. Feel free to explore this picturesque town and all its corners. We could add a lot more things to see in this area, because this is an ideal chance to visit so many places in 3 countries, and in just a day or two. In the end, don’t forget the boat ride, the essential lake experience.